This is sponsored advertising content in association with Western Digital. It isn’t uncommon to come across network architectures where storage is a racked collage of desktop hard-drives, mounted on one another. This may seem ideal for those on a tight budget, but are such drives capable of handling the nuances of network storage? The Western Digital Red or WD Red hard drive comes in as a perfect solution for those looking at reliably transporting and restoring large files across a network. Largely used by creative professionals and small and medium businesses, NAS (Network Attached Storage) systems are commonly found and promise quick and dependable connectivity to large files stored and accessed across a network. This accounts to a few terabytes, given the demand and production sizes of such files. 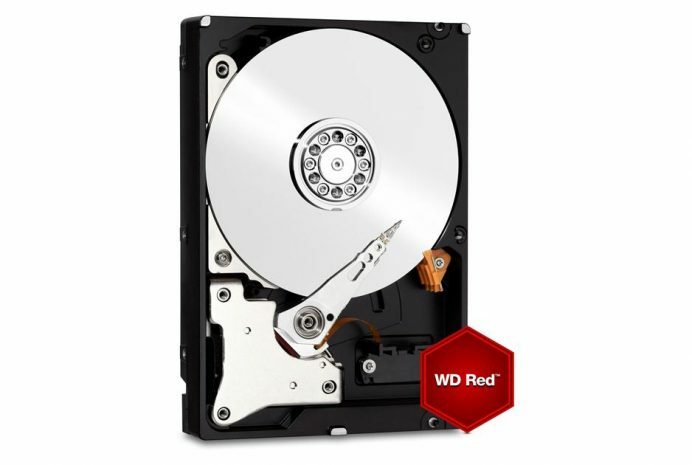 WD Red establishes itself as a market leader, promising a 3-year warranty and world class support for those who use its products. So what separates WD Red drives from the rest? For starters, it comes with an exclusive NASware 3.0 that promises higher efficiencies. Through this firmware, you can be assured of enhanced compatibility across infrastructures, easy upgradation and integration, and more reliability from your storage system. Given its experience in the domain of storage solutions, WD offers maximum NAS partner compatibility-testing in its list. Another significant enhancement that WD Red brings to the table, is the protection of data, even in the face of vibration and noise in a typical networked storage scenario. This is ensured by the 3D Active Balance Plus support. In addition, using WD Red also offers Disk Utilities and Migration Tools that help clone drives for backup purposes (these can be downloaded from http://support.wdc.com/downloads). With this, you can now effectively backup everything from your operating system to your applications and even the settings of your system. The disk utilities help you clear your drive of any trace of sensitive information that you may want to permanently delete, thus foiling any unauthorized retrieval of such data. Who can benefit from the WD Red solution? The primary beneficiaries are those seeking to handle large volumes of data without the hassle. Creative professionals and those running IT infrastructure in small and medium business setups could greatly benefit from the 8TB capacity of data storage that is offered, which can be scaled to an incredible 64TB. You can reach your data safely, quicker and ensure that volumes are never a challenge. Another great application for the hard drive would be in a home-entertainment setup, where a NAS and the WD Red could be paired to make large media formats easily accessible across devices. Setting up network storage from scratch? If you’re looking to setup your network storage from scratch, then the best companion you could pair your WD Red with is the My Cloud EX2 Ultra NAS. These could serve the universes of home media entertainment as well as small and medium business requirements perfectly well. Together they form a highly robust and scalable storage solution that could be looked upon as an ideal long-term investment.